START is currently seeking community organizations to host these training events. Contact training@start.umd.edu to learn more or apply. The National Consortium for the Study of Terrorism and Responses to Terrorism (START), a Department of Homeland Security Center of Excellence and research center housed at the University of Maryland within the College of Behavioral and Social Sciences (BSOS), created the FEMA-certified Coalition-Building for CVE and Community Resilience (FEMA Course Number: MGT 459) course to provide community-focused, multi-disciplinary, and rigorously-researched instruction on countering violent extremism. The course promotes the notion that prevention and intervention efforts to address violent extremism can best be undertaken through a community partnership approach that makes use of existing local capacities to handle and prevent violence. Participants will receive instruction on how diverse community stakeholders may develop partnerships and multidisciplinary coalitions to collaboratively address the multidimensional needs of individuals and communities contending with violent extremism. This two-day, in-person training offers an opportunity for participants to develop a community-oriented plan for building partnerships and coalitions to address violent extremism and promote community resilience. Participants will be guided through designing a work plan for a multi-member CVE coalition that will assist in the implementation of CVE efforts at a local level. Training events will be provided at various locations across the country in coordination with host agencies. Individuals will register to attend a training event through a host agency. Individual registration with START is not available for this training product. During the designated delivery period, START is committed to providing up to seven distinct iterations of the Coalition-Building for CVE and Community Resilience at no cost to host agencies. 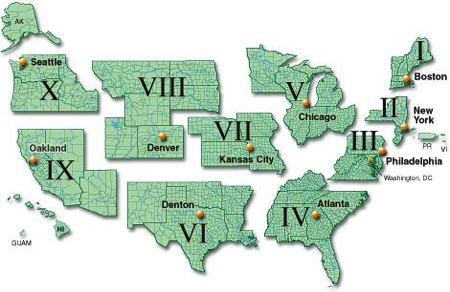 In order to ensure geographic reach, START will conduct these seven iterations across FEMA regions. Priority will be given based on previous region delivery and ability to secure a minimum of 20 eligible participants to attend the training event. In coordination with START and the appropriate FEMA State Administrative Agency, host agencies should be prepared to oversee logistics, recruit participants and manage registrations for the training event. Individuals eligible to take attend this course include U.S. citizens and Legal Residents representing state, local, tribal and territorial entities. This includes representatives from Non-Governmental Organizations (NGOs) and the private sector. Foreign nationals residing in the U.S. and associated with a state, local, tribal, or territorial entity as defined in Congressional Appropriations may take the course after completing a Foreign Visitor Request Form. U.S. citizens residing outside of the United States who are affiliated to a U.S.-based state, local, tribal or territorial entity may take the course. Non-U.S. citizens not connected with a U.S.-based state, local, tribal or territorial entity are not eligible to take the course. To inquire about hosting a Coalition-Building for CVE and Community Resilience training event, please contact START at training@start.umd.edu.